Girls with dry skin needs something that is super hydrating. Dry skin can be problematic because weather elements can make it worse. For those of you who are new to this series of blog posts – MIY stands for ‘Mix It Yourself’. In this series I include recipes for natural face masks (and will also include recipes for natural hair masks, face scrubs etc in the future). Cut the avocado into pieces, then mash it in a bowl using a fork (the right consistency is a smooth paste without any lumps). Add the honey & olive oil, mix together and apply the mixture to your face using clean hands or a flat foundation brush. 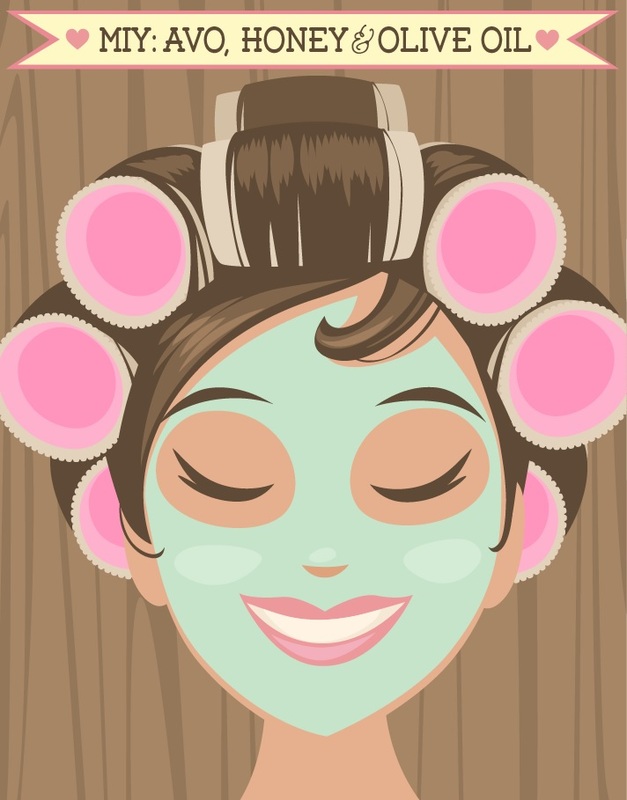 Leave the mask on for about 15 minutes, gently rinse it off with cool or luke warm water and pat your face dry. Apply your moisturiser whilst your skin is still slightly damp, it helps to seal in hydration. ♥ Avocado contains a lot of minerals such as Iron, Potassium, Calcium, Sodium, Copper & Magnesium. It also contains Vitamins A, E, B and K. All these wonderful vitamins and minerals create a special cocktail that ensures this mask will penetrate the deepest layers of the epidermis & give elasticity to even the driest of skin. ♥ Honey helps to clean impurities from the skin and retains moisture to enhance a natural glow. ♥ Olive oil has many benefits, including Vitamin E, which helps to nourish & soothe dry or damaged areas on the skin. My skin tends to get dry during winter months. The avo, honey and olive oil mask sounds lovely although I prefer eating or making a yummy salad of avo,lettuce, tomato and cucumber! Very informative post! Thank you for replying to my comment on your previous blog post. Let me know what you think once you’ve tried it! I find it so interesting how you include the beauty facts for us ‘less educated ladies’ – truly helpful. LOL @ ‘less educated ladies’, I’m happy to help you guys anywhere I can. Exactly! I try to include ingredients that I think most people will have in their pantry / kitchen.